That’s clearly wrong. 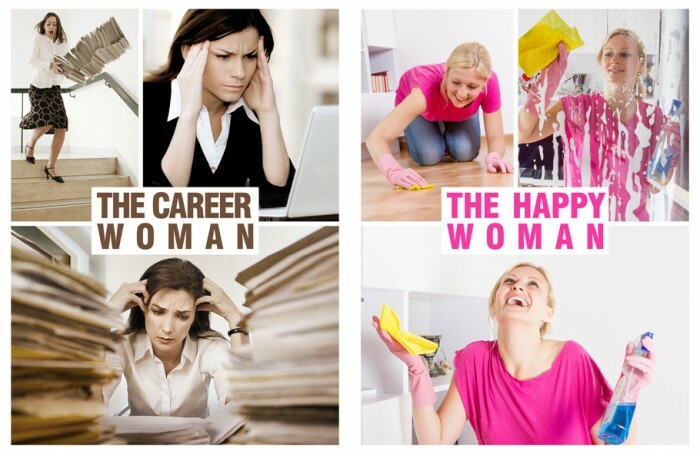 The “happy woman” is the wife of a billionaire who gets to point and laugh while her husband does all the working and her Mexican maid does all the cleaning for her. But what about when he trades her in for an 18 year old in a few years, and she signed a pre-nup? That’s where you plan ahead with the life insurance policy and him “accidentally” drowning in the infinity pool before he can do that.